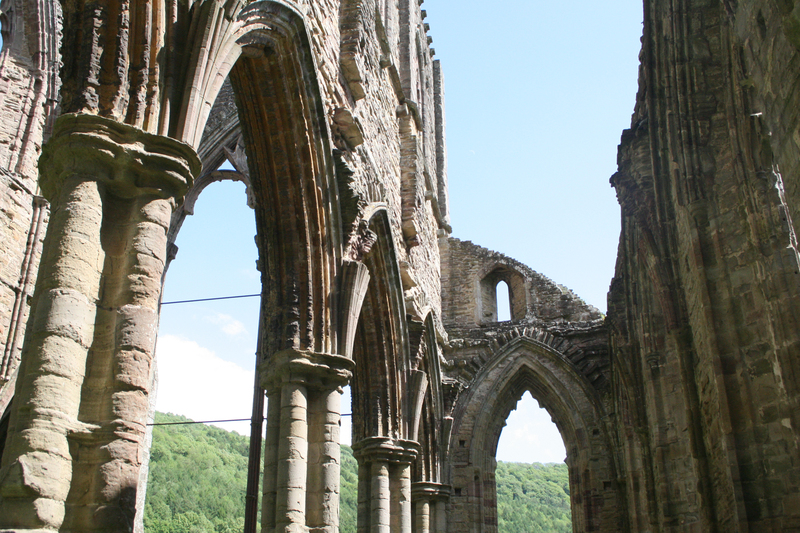 In 1798, English poet William Wordsworth visited the incredible ruins of Tintern Abbey and found solace and peace looking over the Wye River Valley. 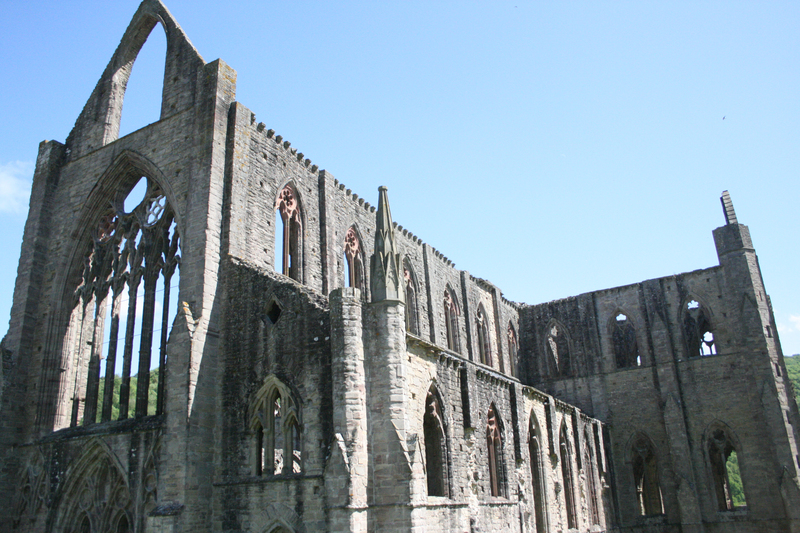 Here are some of his hallowed words from his trip to Tintern Abbey as written in the poem Lines Composed A Few Miles Above Tintern Abbey. Once I had seen enough, I checked out the bus stop and I thought the bus left at 2:15. What an incredibly wrong idea for me to think, but at the time it seemed perfectly logical when I skimmed the bus schedule. I went back into the town and ate lunch at a 900 year old mill. I literally sat at the bus stop for an hour and a half until I realized that I had been reading the schedule wrong. Durh. 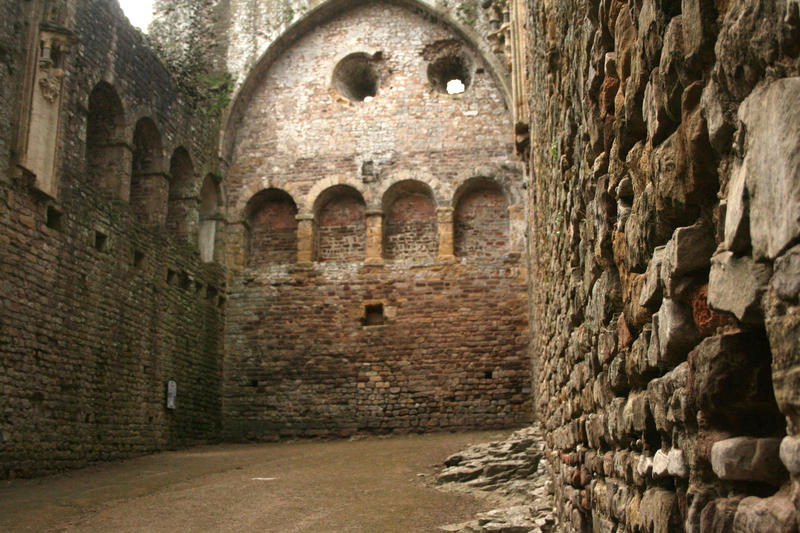 When I got back into Chepstow, I had 45 minutes to check out Chepstow Castle, thanks to my blunder back at the Abbey. I was really quite dissapointed with my mistake because the castle was one of the two sights I came into South Wales to see. 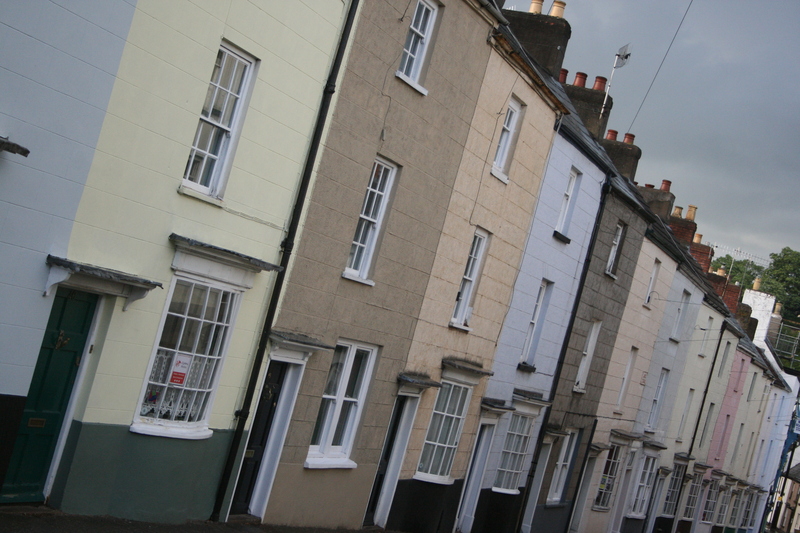 Basically, the town of Chepstow itself is a little on the sleepy side, but situated nicely beside the river. The cutest Welsh girl was at the ticket counter and when she was closing the castle, she walked with me and told me all about the castle’s history. 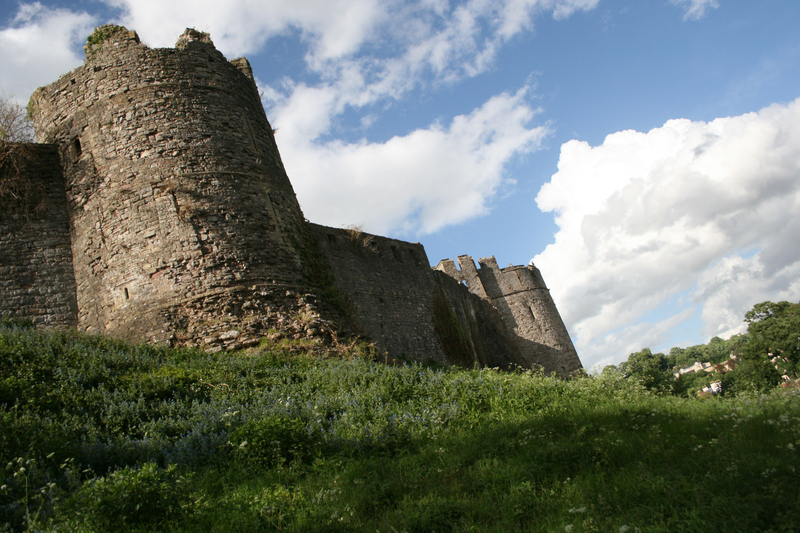 Chepstow Castle was built by the Normans in the 11th century soon after the conquest of Britian at the hands of William the Conquerer. After having a bite to eat, I decided to check out the Norman churchat the end of town. Once again, built close to 900 years ago. Incredible. The doors were open, but it was dark inside; it had started to rain and I sought shelter in the ancient church almost as if I was in a horror movie. I didn’t hear anyone in the church and all of a sudden, the wind blew the two mighty doors shut with an almighty boom. There goes one of my pairs of underwear for the trip. Sigh. The vicar came running down the spiral stairs to the left of me and apologized profusely. Turns out, drafts tend to blow the old doors shut. Don’t worry, I only had a coronary on the steps of the church that was plunged into darkness. For those interested in a fantastic bed and breakfast, check out St. Anne’s B&B in Chepstow, Wales. They are a lovely couple who are very hospitable towards guests. 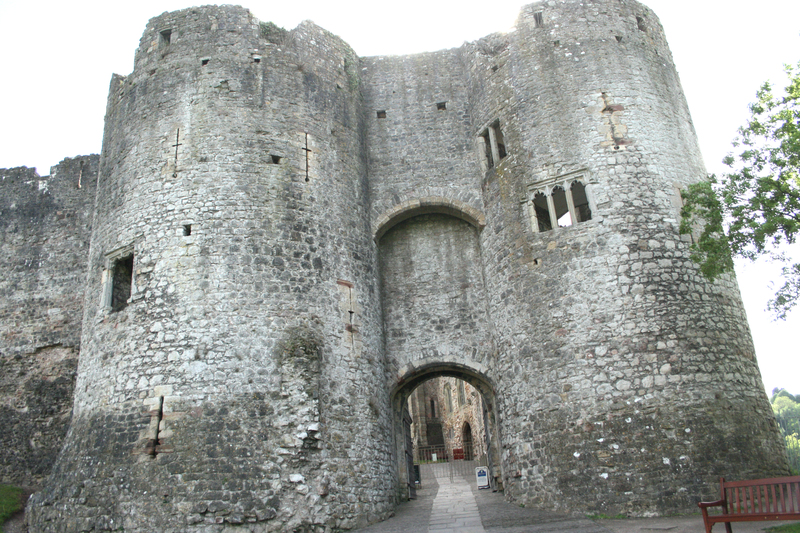 In my next post, follow me to Conwy, North Wales where I check out Conwy Castle, the medieval town’s walls and Caernarfon Castle. Oh yeah, and I also met a wizard. It’s all in the next post. You got two of my favourite places in the UK in one day – well done. Great pictures!